Make Direct Energy your Indiana natural gas company and trusted home services provider for plumbing, electrical, and HVAC services. Amazon, Echo, Alexa and all related logos are trademarks of Amazon.com, Inc. or it's affiliates. The Echo Dot is provided by Direct Energy. Amazon is not a sponsor of this energy plan offer. ©2018 Direct Energy. All rights reserved. Natural gas choice is here in Indiana. Choose Direct Energy as your Indiana gas company, and enjoy price stability with our fixed-rate natural gas plans and stop worrying about Nipsco's variable rates. 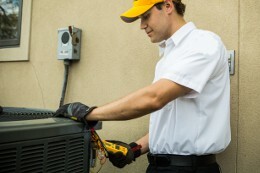 We also provide leading home services products that will help you care for your Indiana house and protect your family. Whether you need a six-month contract, or can commit to a full two years, we have the Indiana fixed-rate natural gas plans that fit you and your family's needs. We provide more than just energy services in Indiana! Whether it's electrical, HVAC, or plumbing repairs, you need knowledgeable and experienced professionals. We've assembled a team of highly-trained home services experts in Indiana to help repair and maintain your home's essential systems. 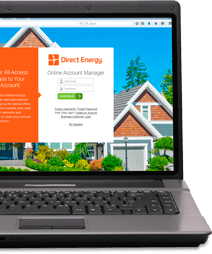 With the Online Account Manager from Direct Energy, you have access to all your account information on your terms. No matter where you are, we'll have the information you need. A home repair emergency doesn't have to lead to a financial emergency. We have protection plans to help you defend your home and your budget. You're a smart consumer who knows what's best for your family. Take advantage of the energy choice you enjoy in Indiana. 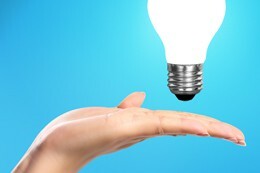 Deregulation provides you the ability to choose the energy company that's right for your home. Join our communities on Facebook, Twitter, Instagram, Pinterest, YouTube, and LinkedIn to get the latest industry news, relevant weather information, and energy efficiency tips. Be on the lookout for fun games and promotions on our page too - we love to interact and have fun with our followers! Get opportunities to earn even more rewards when you're a customer with our Refer-A-Friend program! When you refer your friends to Direct Energy using your unique customer referral code, you'll both get rewarded. For each friend you refer, you'll get a $50 Direct Energy Visa® Prepaid Card, and so will they! That's $50 more a month for you to spend on other things you love. It's a win for everyone. The power to choose is in your hands! Thanks to deregulation, you're no longer limited to getting your natural gas from utility companies like Nipsco. We pride ourselves on our great natural gas service and top-notch customer care. Check out how Direct Energy can help power the home you love.